German-born electronic artist, Ulrich Schnauss recently revealed that he’s embarking on a North American tour this summer performing in select North American cities. 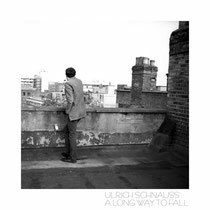 Earlier this year, Schnauss' released his fourth album, ‘A Long Way To Fall’ on Domino Records. This album is a labour of love, a solo album that was six years in the making and also his most varied release to date. On the new record, he returns to punchier rhythms while incorporating some new textures and sounds from his earlier musical explorations. Tour dates below the video for 'A Long Way To Fall'.